Hello, all our ribbon-loving friends! Welcome by today as I (Karen Letchworth) share a card I created for Really Reasonable Ribbon. I used some patterned papers, stickers, and border stickers from my stash. Once I had my patterned papers laid in place, I added half of a tea-stained doily and ran a width of Cream Seam Binding across my card. I used the same Cream Seam Binding along with some Burnt Rust Seam Binding to tie a sweet bow that I topped with a 14 mm Round Acrylic Rhinestone Flack Back Embellishment. The sentiment (I heart you) are rub-ons. 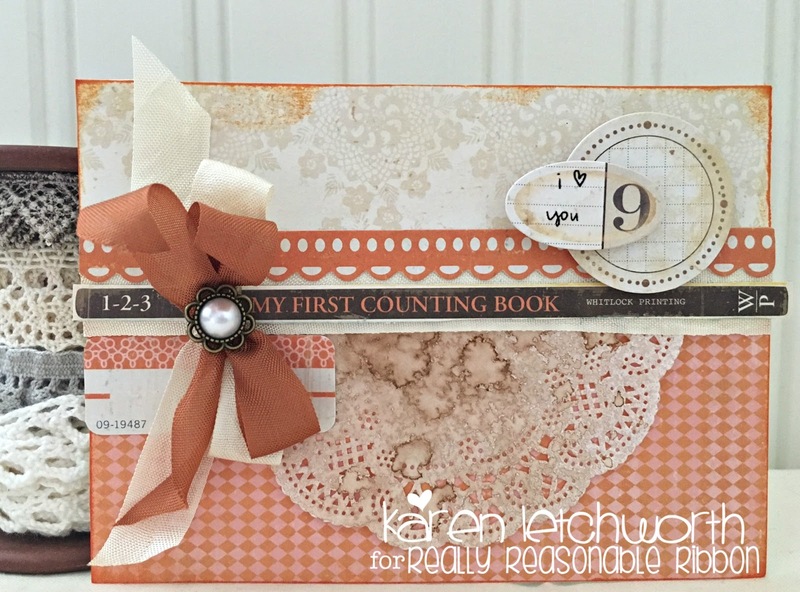 I also ran a border strip (my first counting book) from a piece of patterned paper. I used some Scor-Tape to hold my layers together, and there's some 3-D foam tape going on with the journalling stickers; but that's about it! If you haven't checked out all the fabulous Embellishments available at Really Reasonable Ribbon, you really need to check it out. 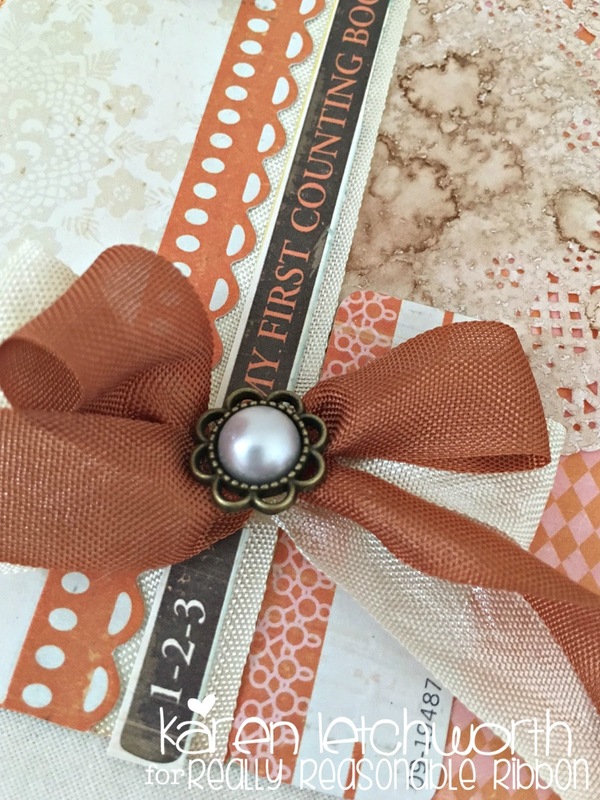 Not only do they carry every imaginable trim perfect for every project you can dream of creating; but they have the sweet touches and Embellishments to adorn them as well. You can see that sweet Cream Seam Binding under my borders, and see how it shimmers and adds so much fabulous texture and personality to my card without being too terribly thick or bulky. SO sweet, don't you think? I'm so grateful that you've stopped by today. 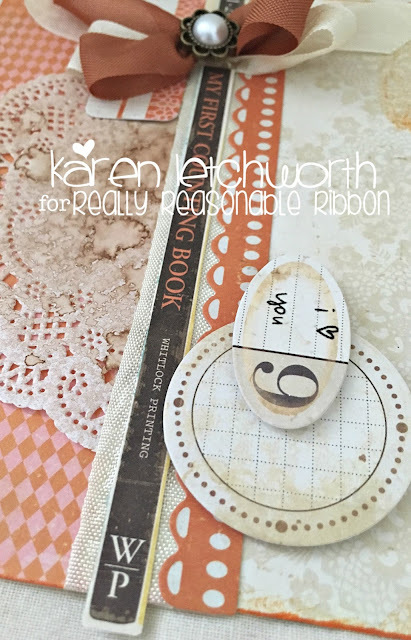 There's always lots of great inspiration on the Really Reasonable Ribbon Blog, as well as a FUN CHALLENGE where you can play along. We look forward to your next visit. Your card is gorgeous and so is that seam binding. Yummy colors!